Love is in the air! Show that special someone that you are thinking of her or him with a romantic Belgian chocolate gift. 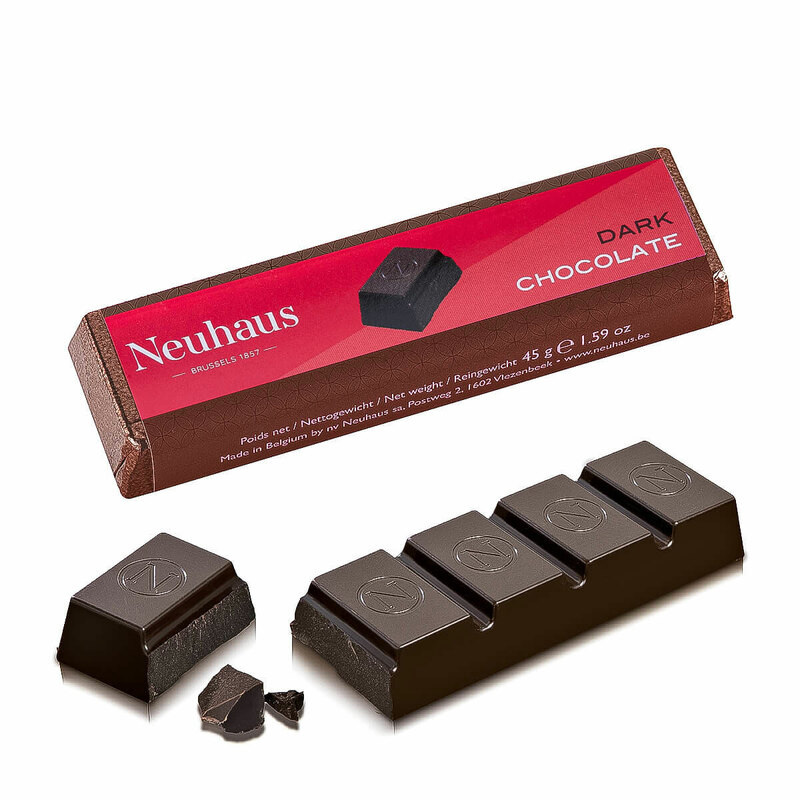 Luxury Neuhaus chocolate is presented in a beautiful red and pink "leather" gift basket for a sweet romantic treat. 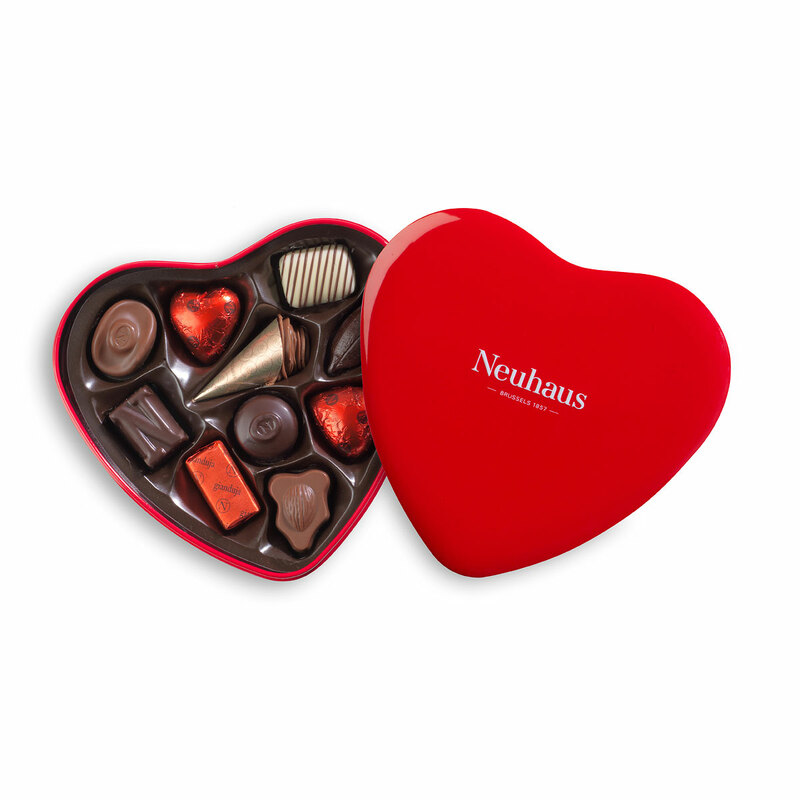 Nothing is more romantic that the classic Neuhaus Red Tin Heart filled with 10 assorted Belgian chocolates. 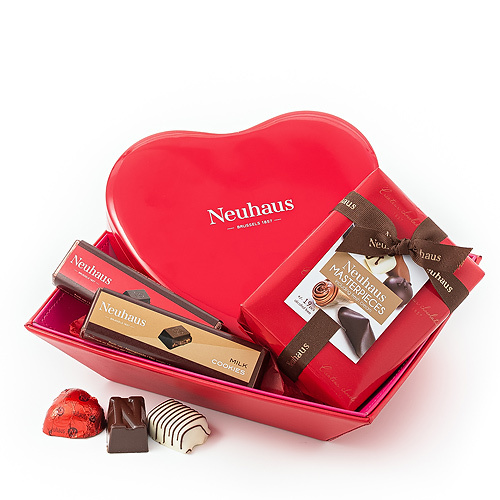 The timeless heart shaped gift box features a delicious collection of Neuhaus favorites, including two of their Coeur Praline heart shaped chocolates. 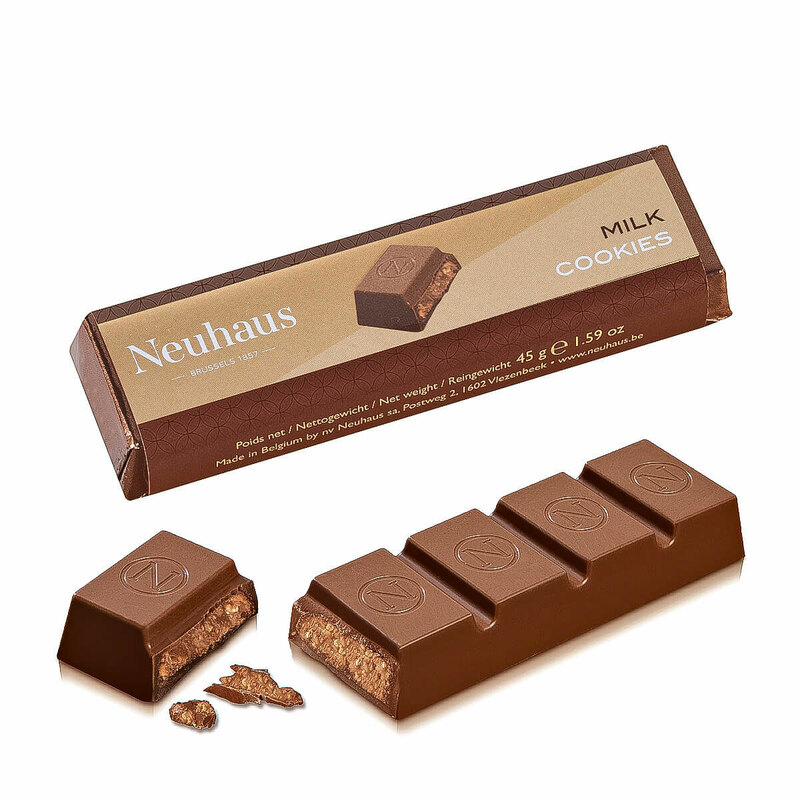 The Timeless Masterpieces Ballotin, 250 g is comprised of a broad range of Neuhaus chocolates, including a selection of their best chocolates with fresh cream filling, as well as a selection of praliné, ganache, and gianduja fillings. A duo of chocolate bars completes this romantic gift basket; one is intense dark chocolate and the other is scrumptious milk chocolate with cookies. They are a fitting sweet ending to make any romantic occasion memorable.